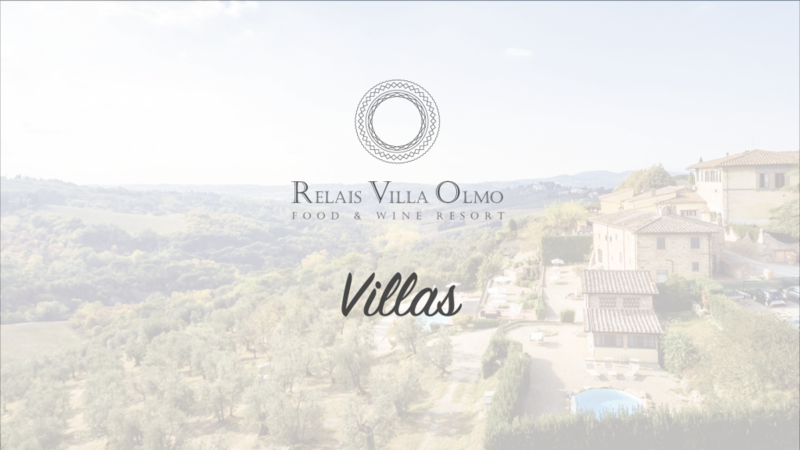 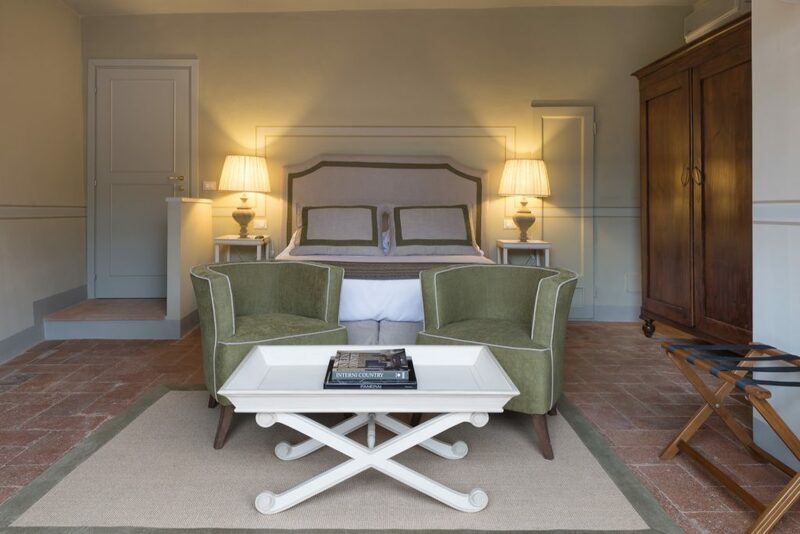 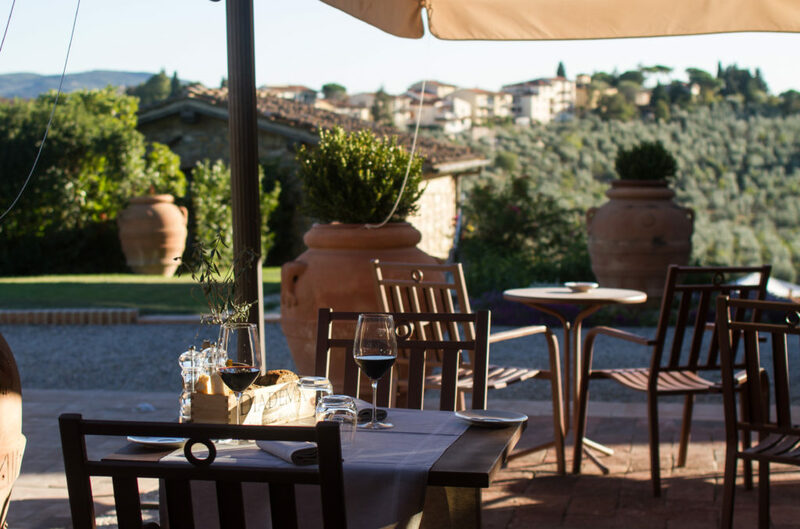 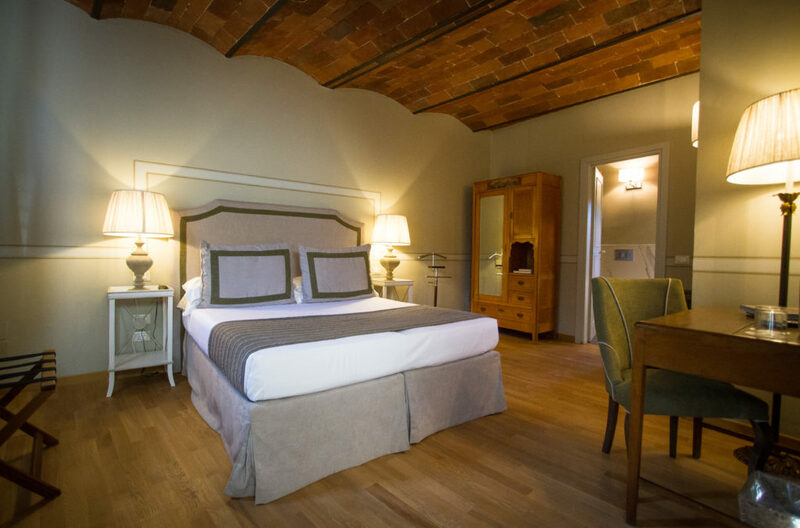 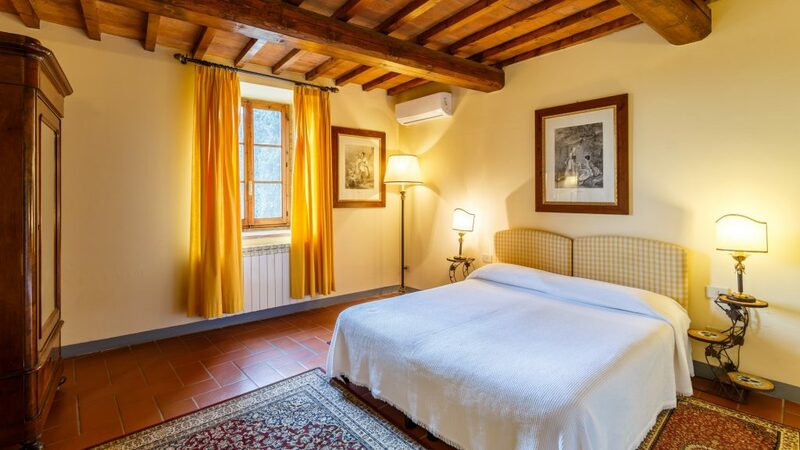 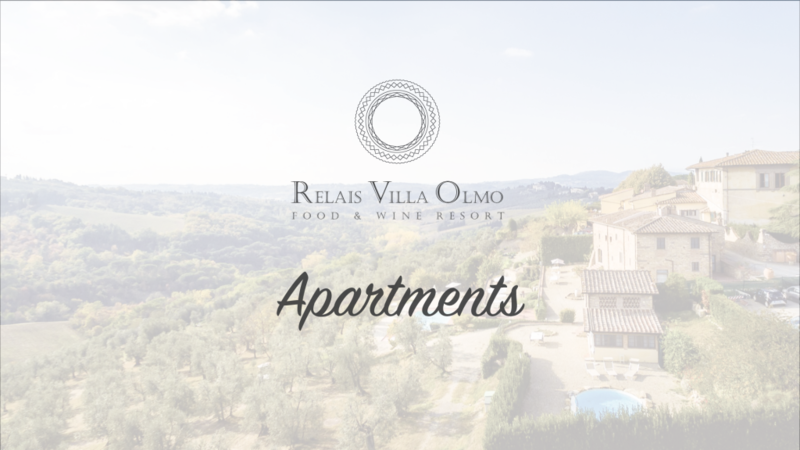 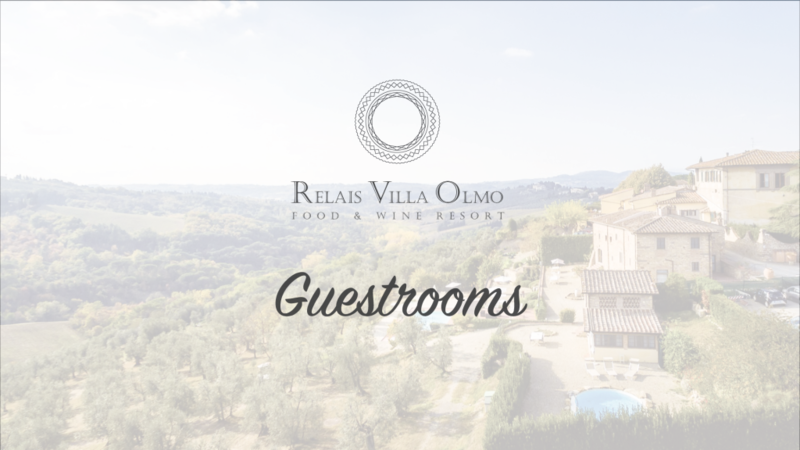 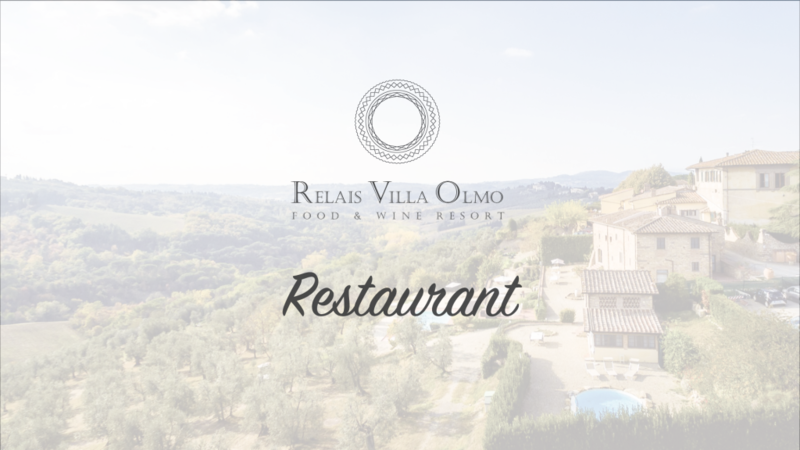 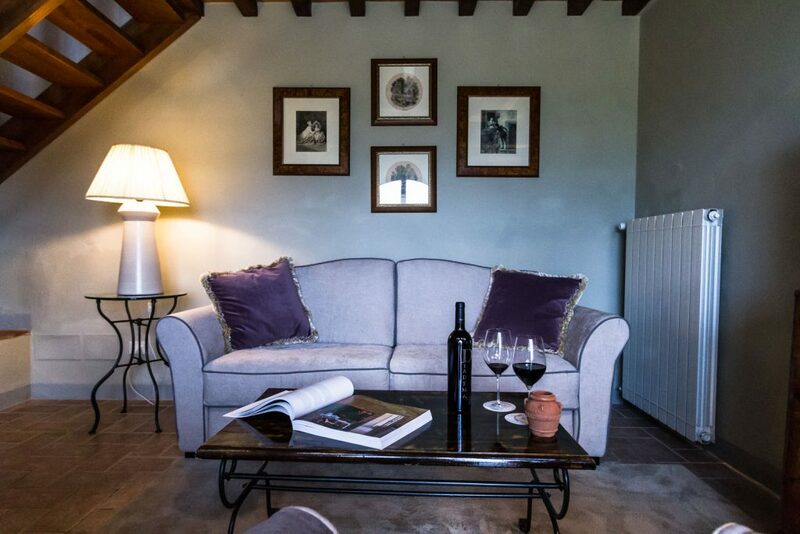 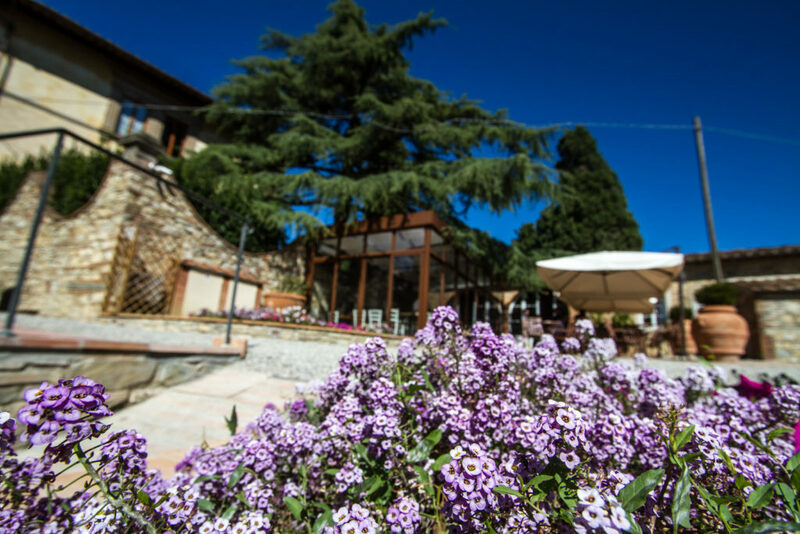 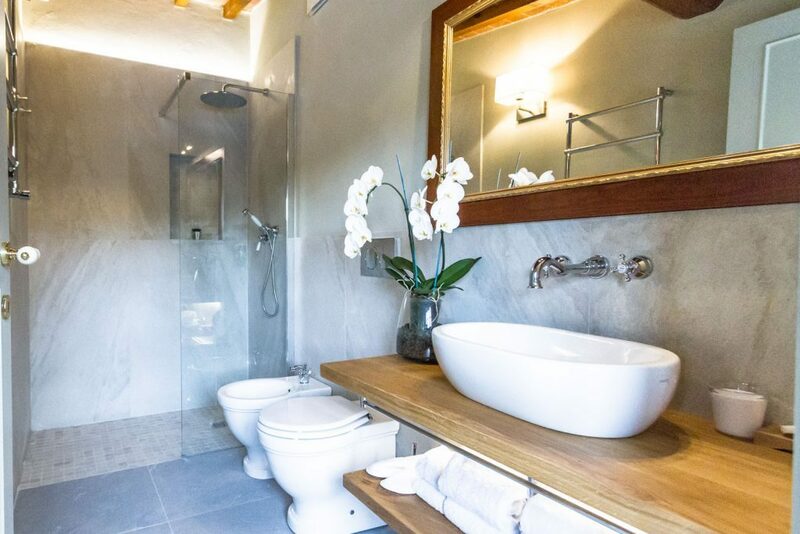 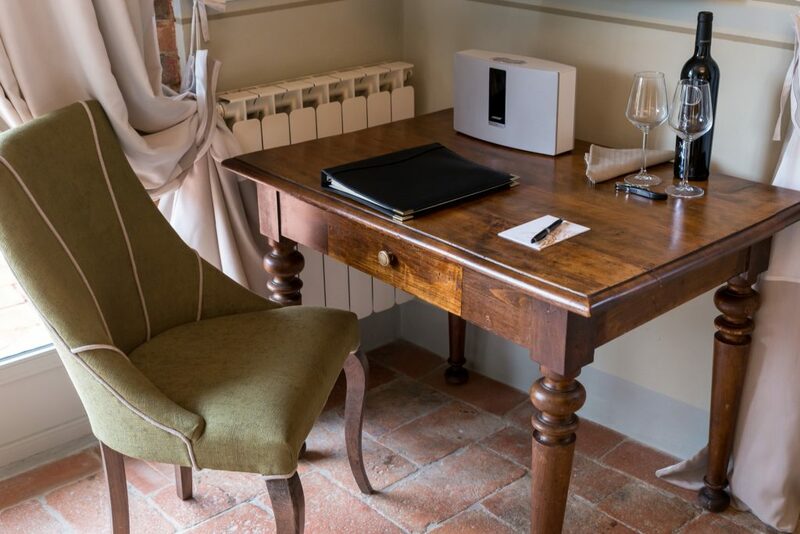 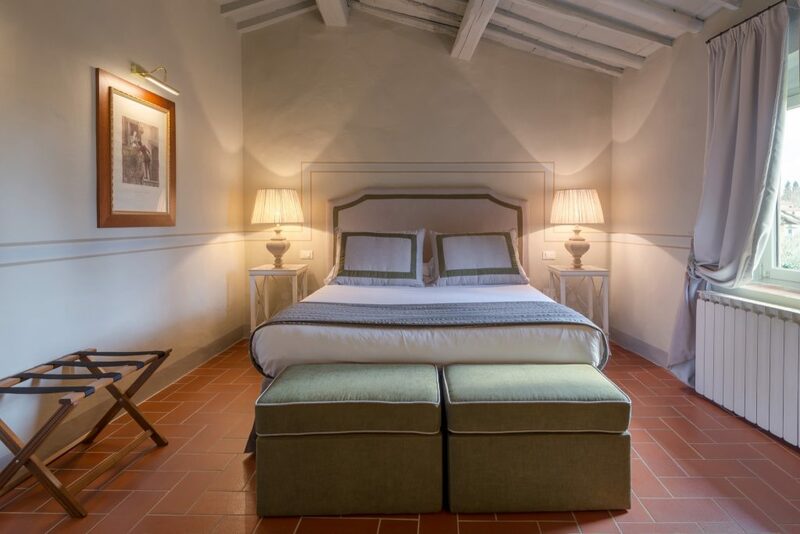 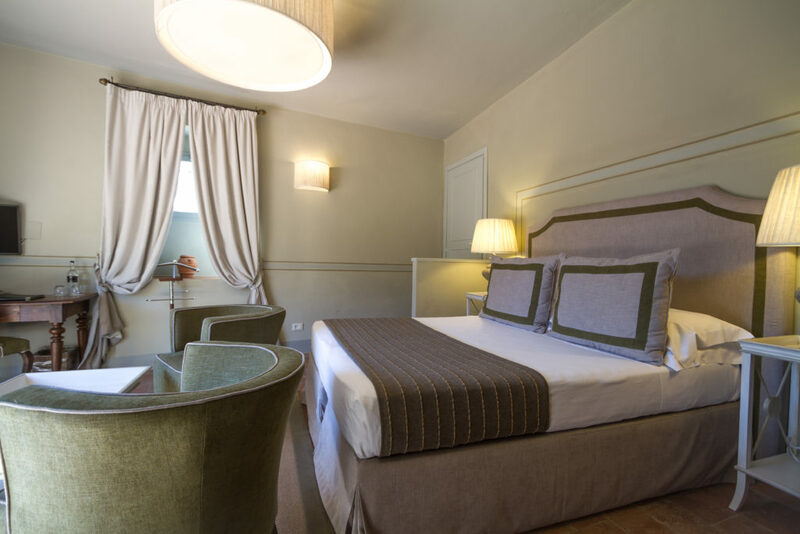 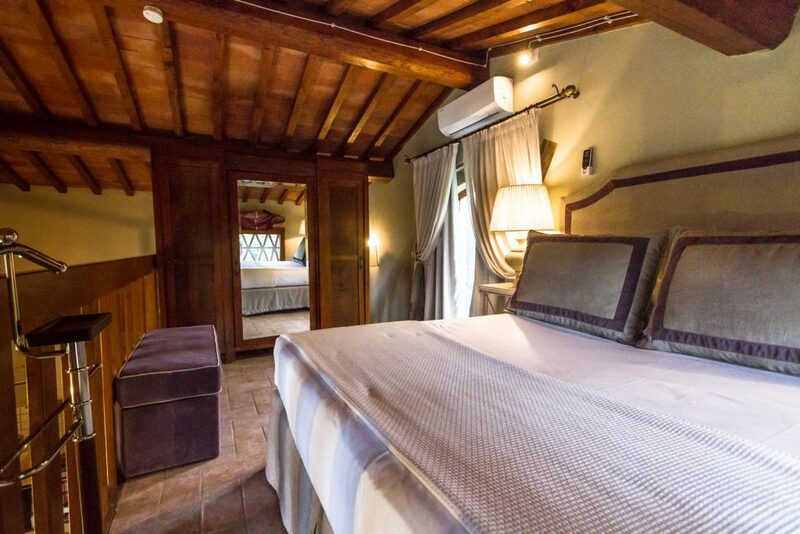 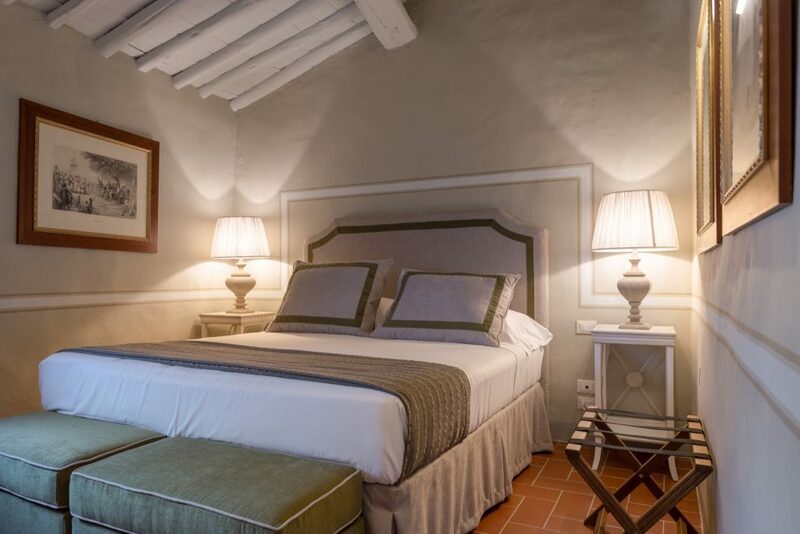 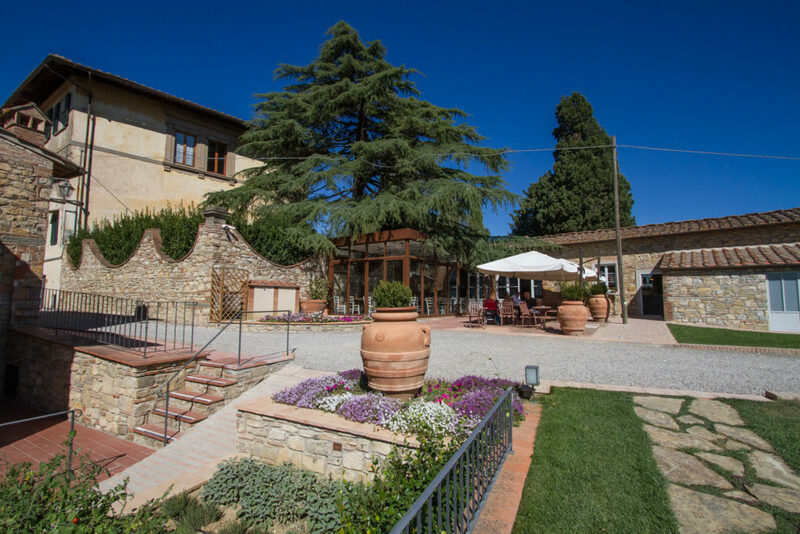 Relais Villa Olmo is one of the most elegant structures in the Chianti region, characterized by the rustic style of the ancient villages and cared for in every detail. 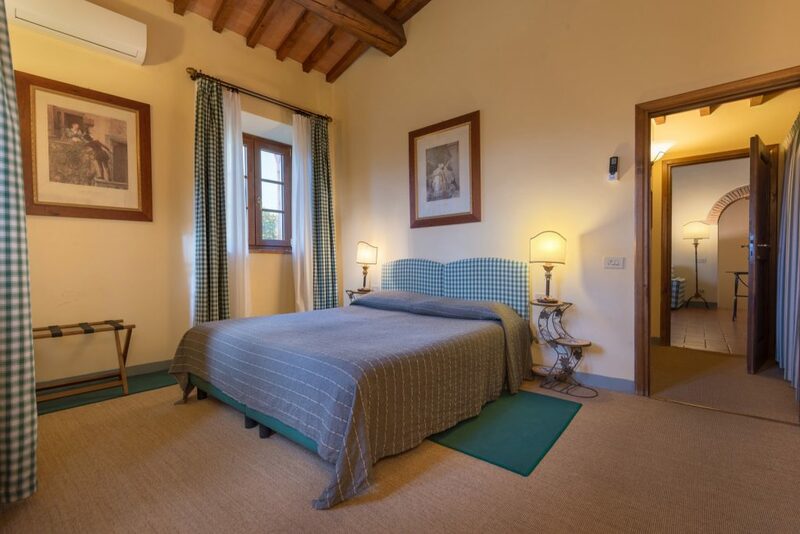 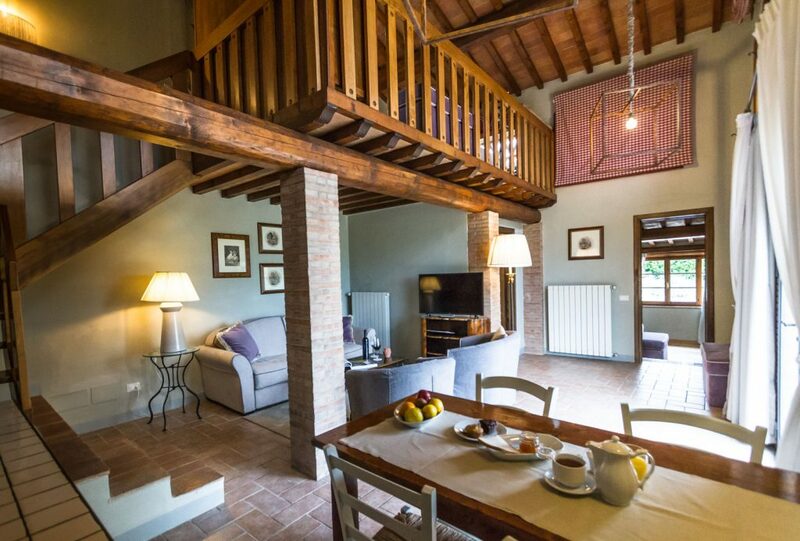 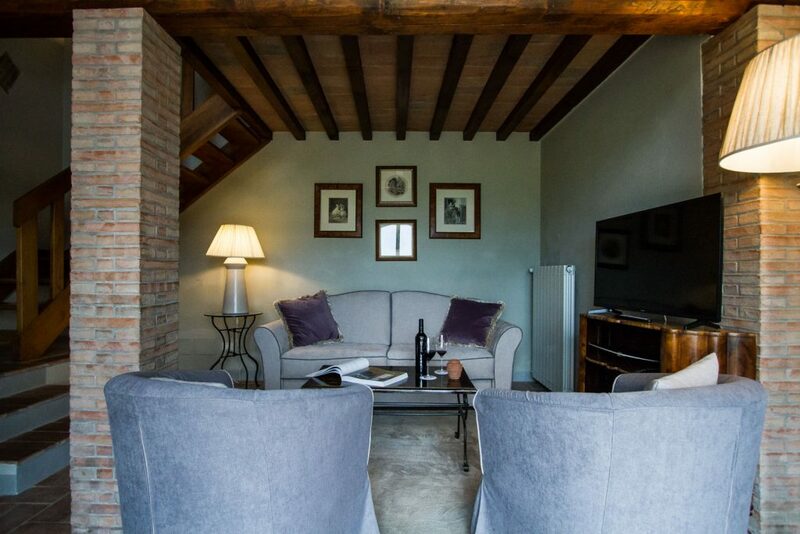 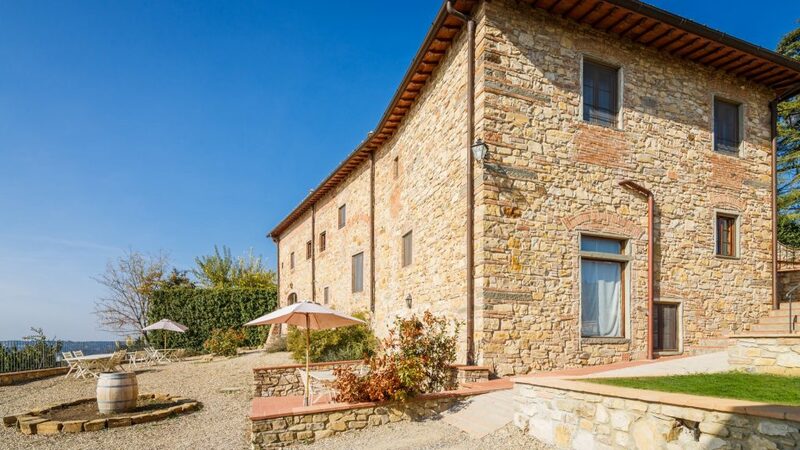 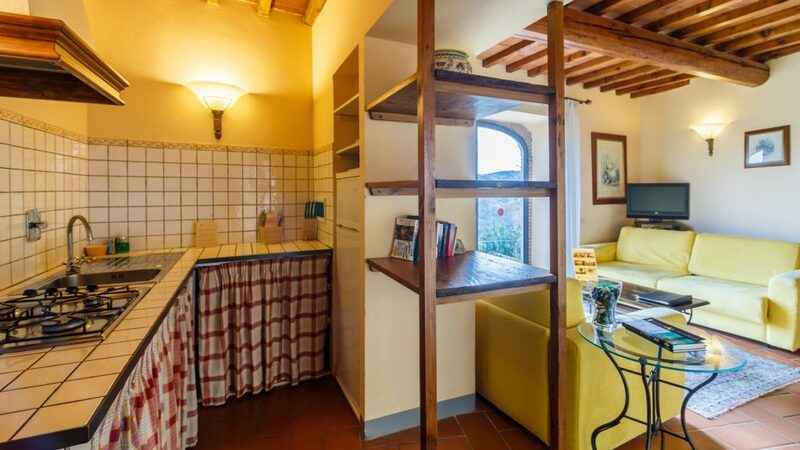 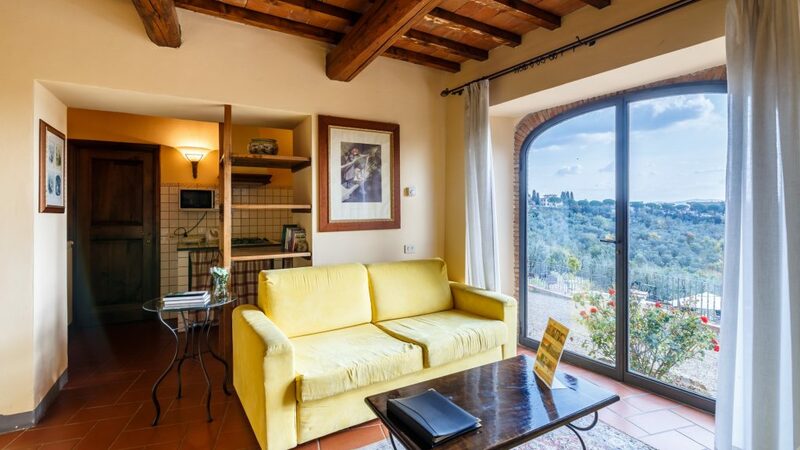 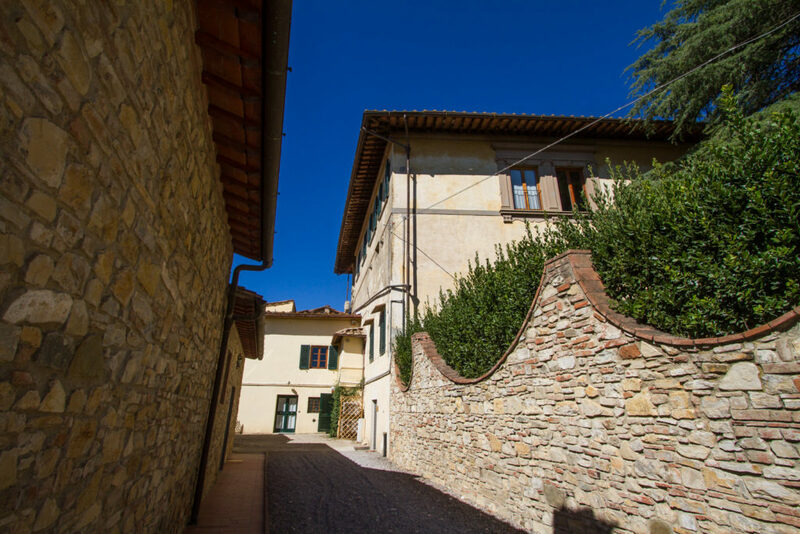 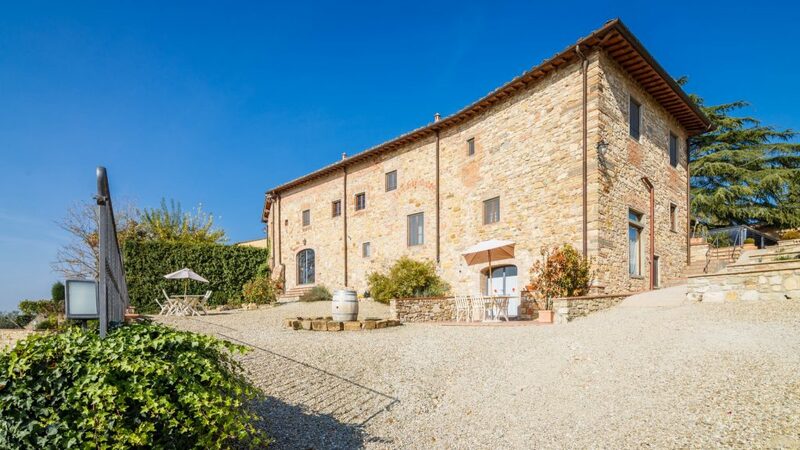 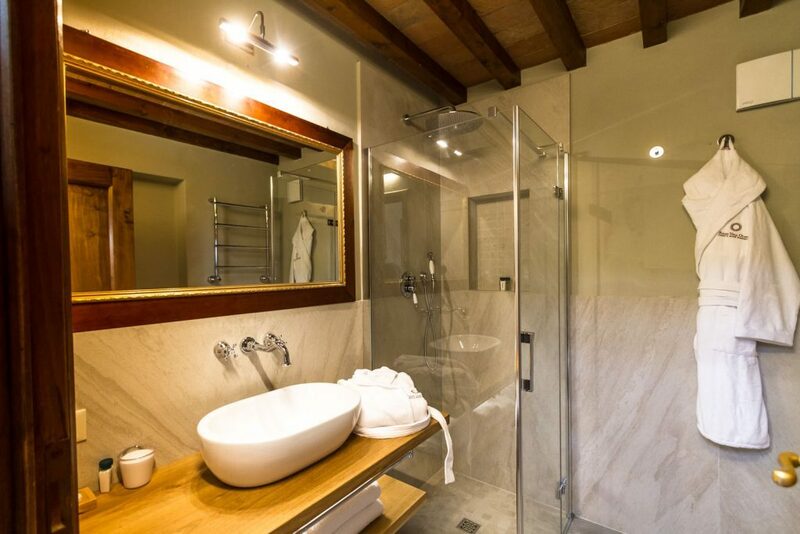 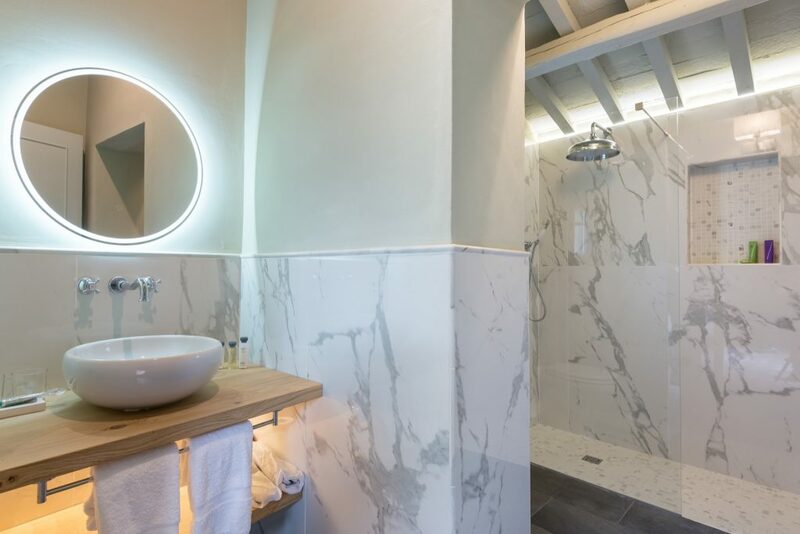 The recovery of this jewel of rural architecture has allowed for the transformation of the original structure from a summer residence of a cadet branch of the Medici family, into an exclusive resort equipped with modern facilities and contemporary taste. 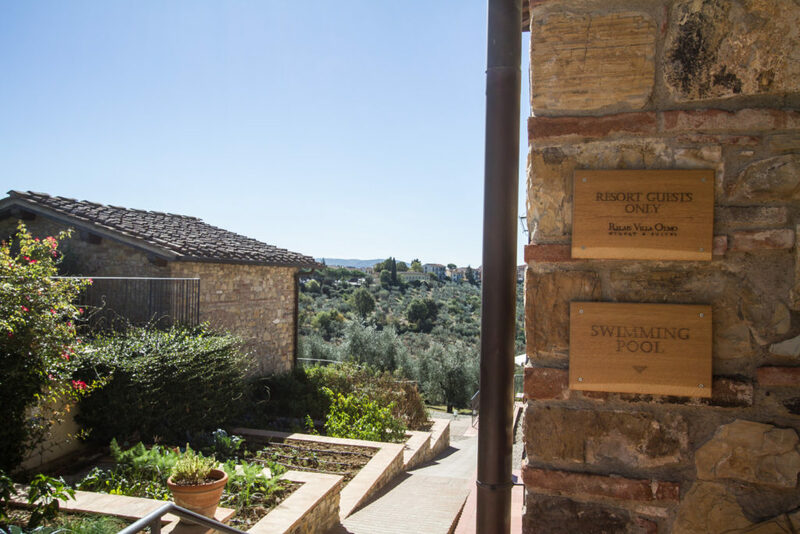 A luxury hotel in Impruneta that offers its guests elegance and comfort, ensuring respect and sustainability of the surrounding nature. 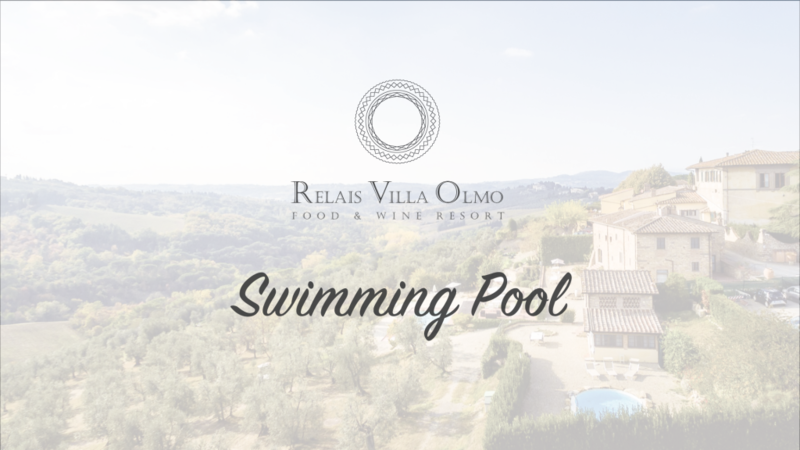 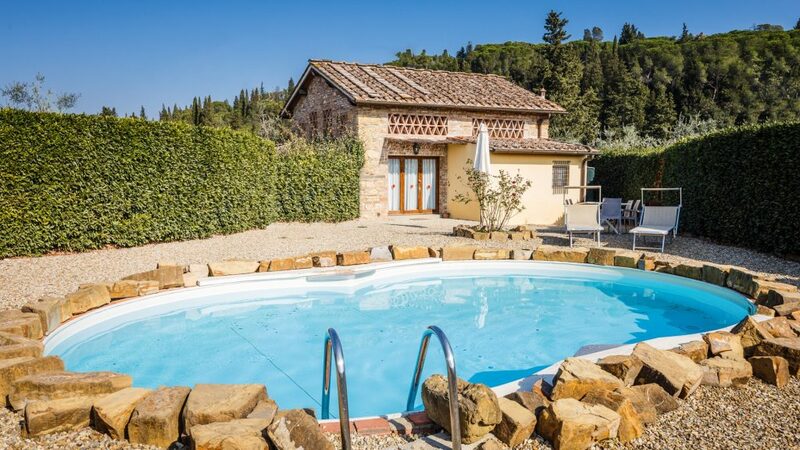 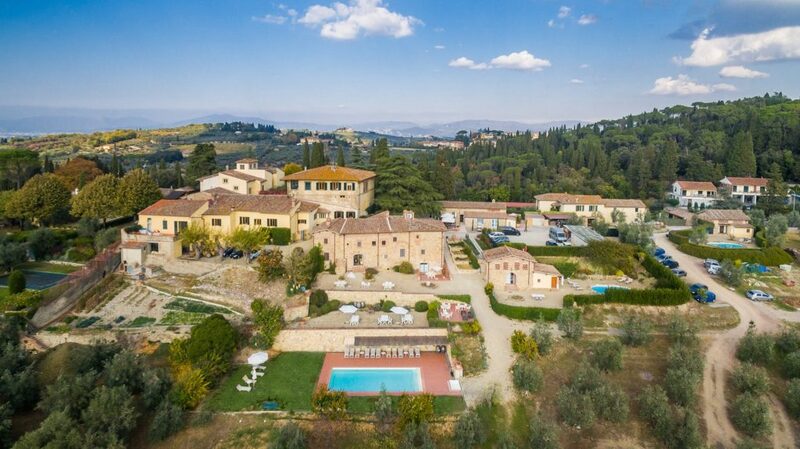 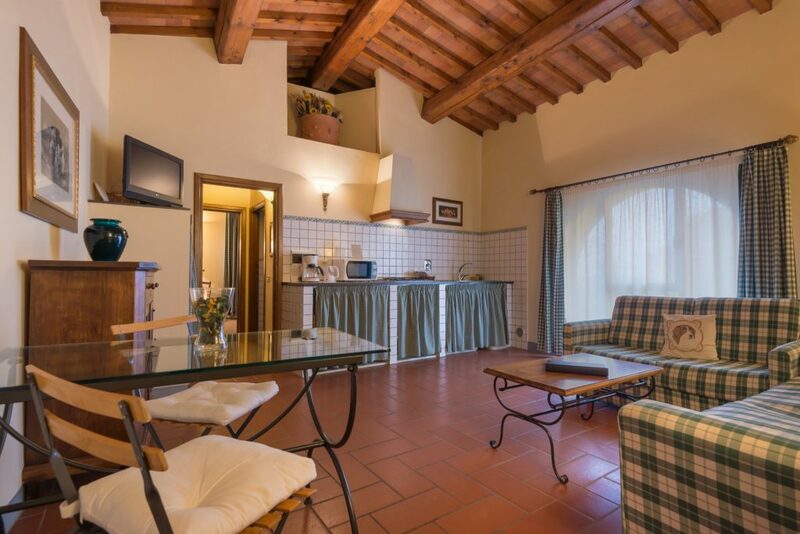 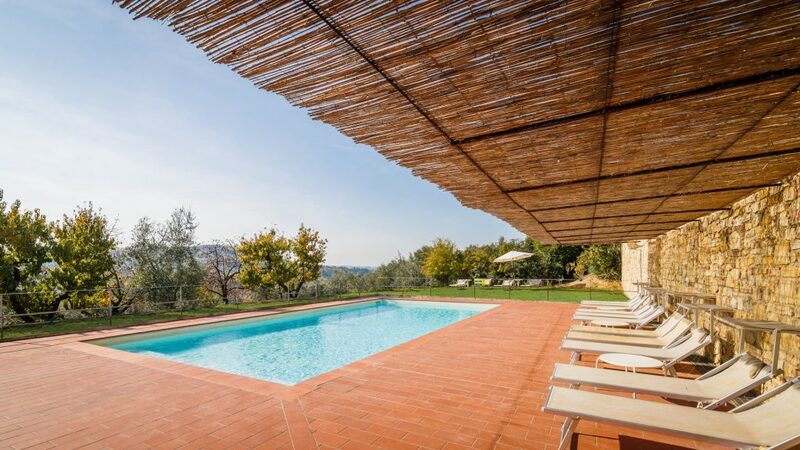 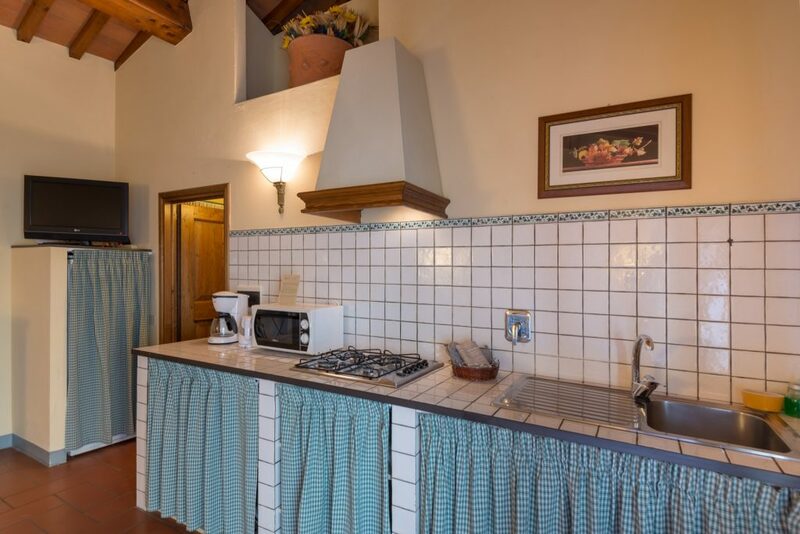 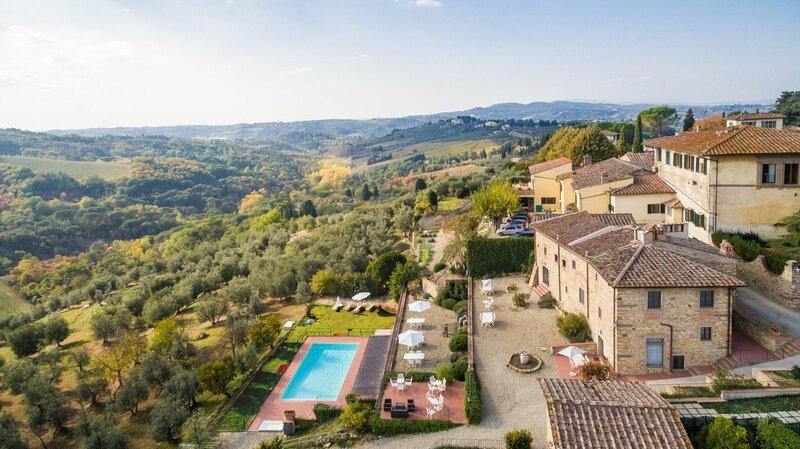 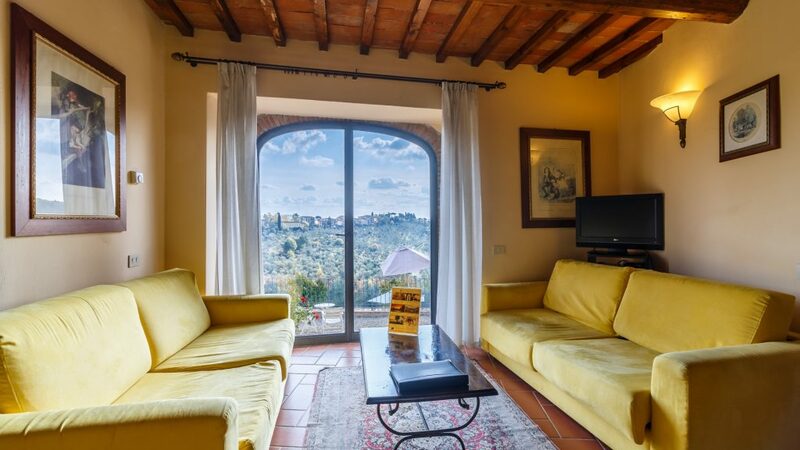 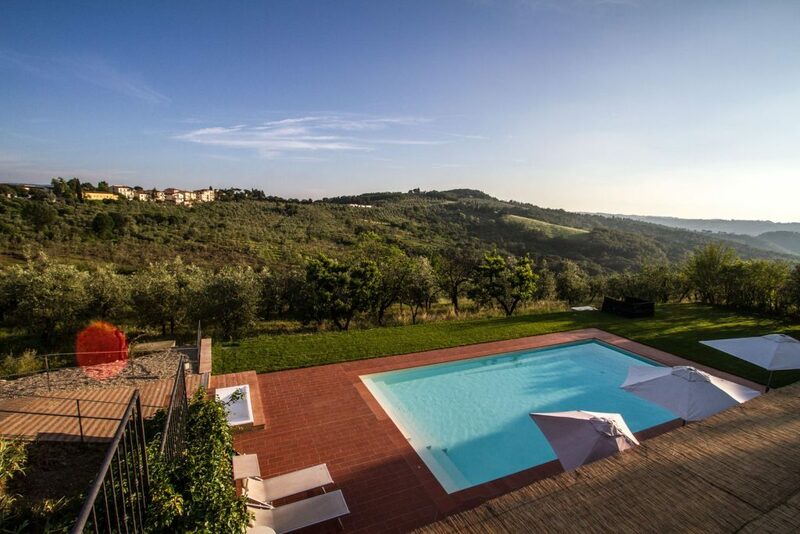 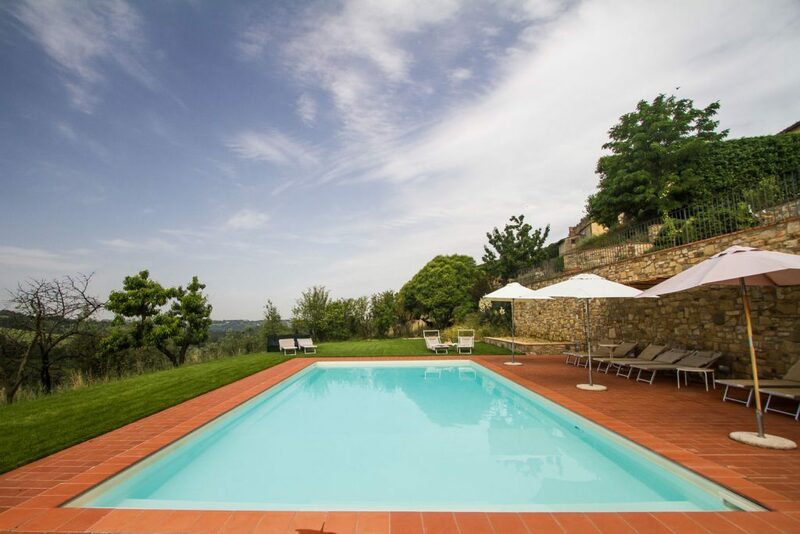 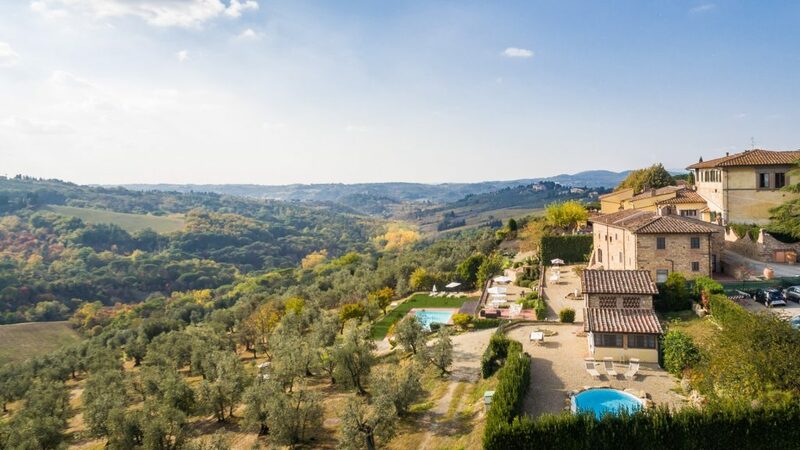 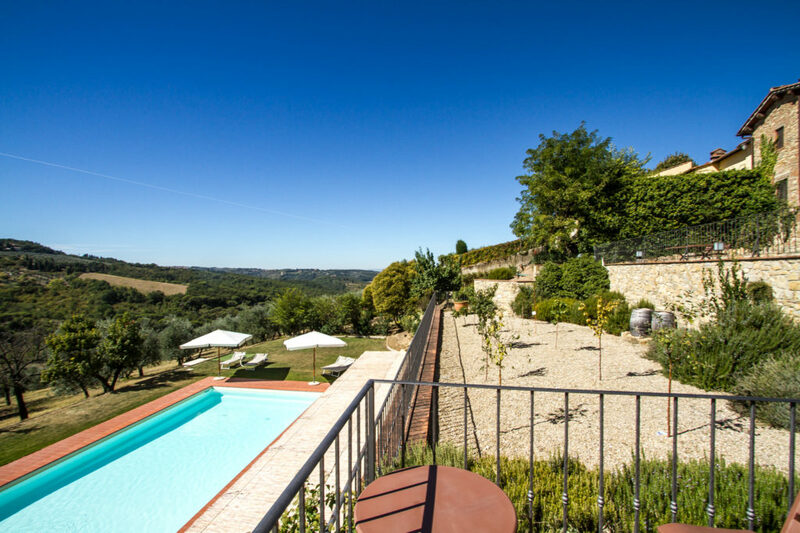 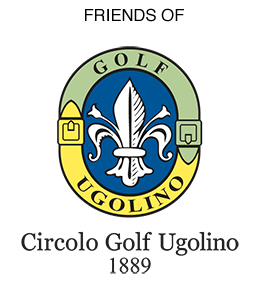 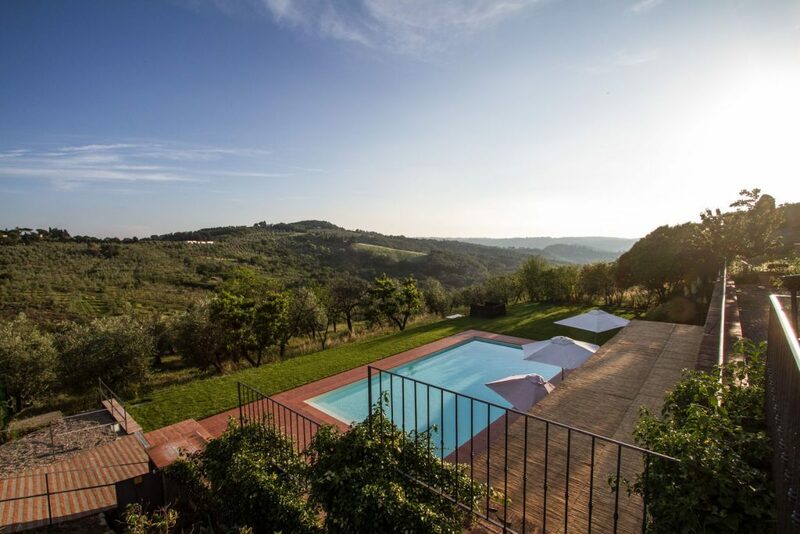 Our Food Resort with pool near Florence is the perfect place to visit the cradle of Renaissance enjoying the relaxing atmosphere of Tuscany countryside. 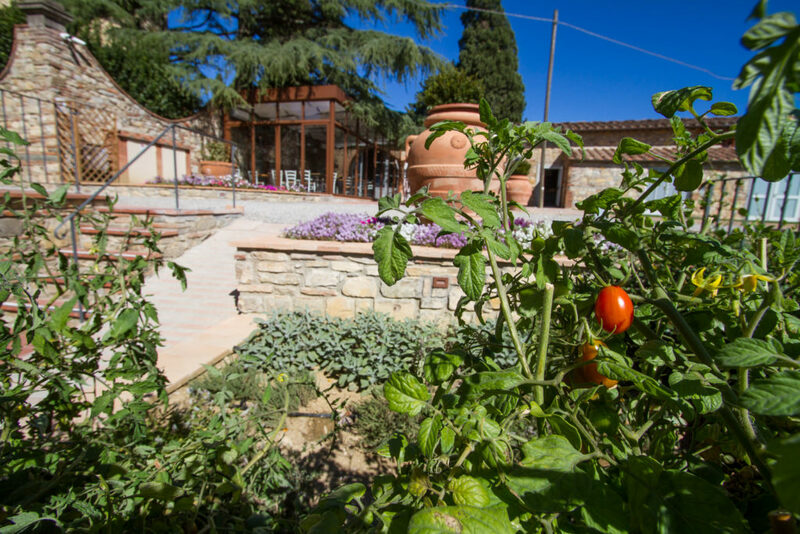 Sit in the gardens of the structure to admire the amazing colors of Tuscan hills, an unrepeatable experience that offers different shades at each change of season. 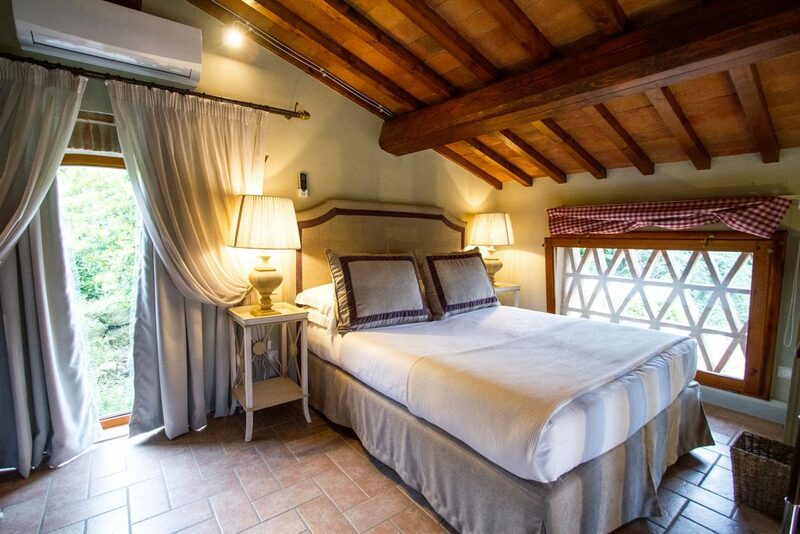 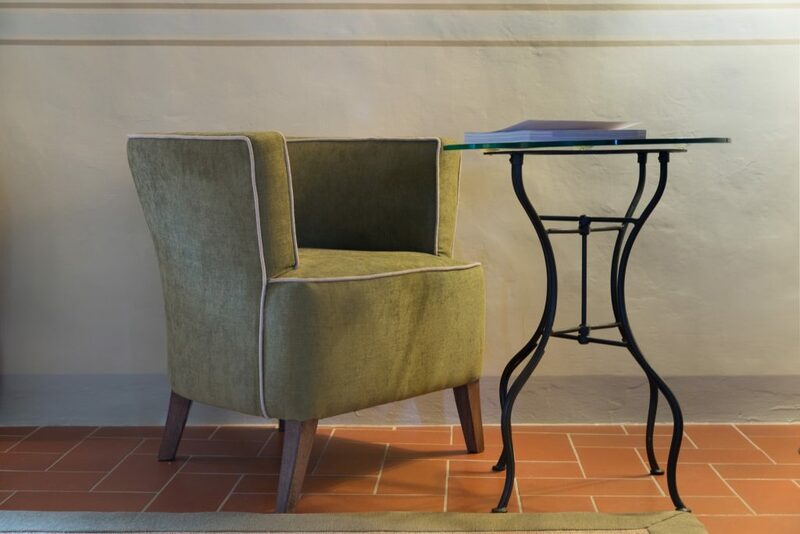 Appreciate the originality of the interior furnishings that restore the true essence of rural tourism without neglecting the excellence of services and attention to detail to offer a functional and efficient stay. 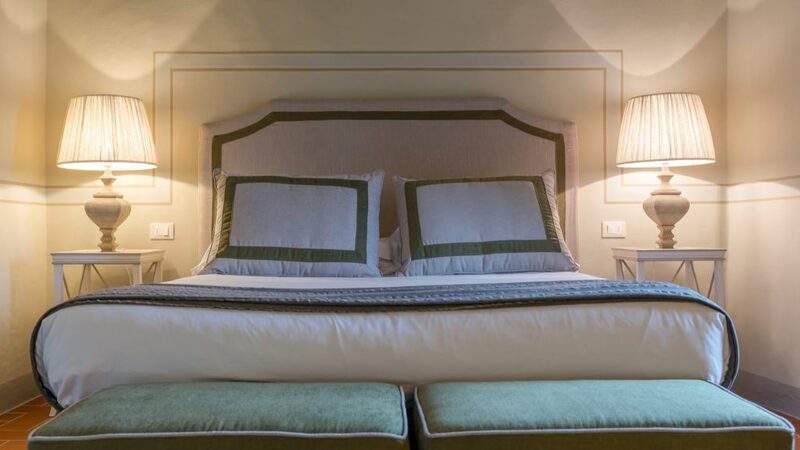 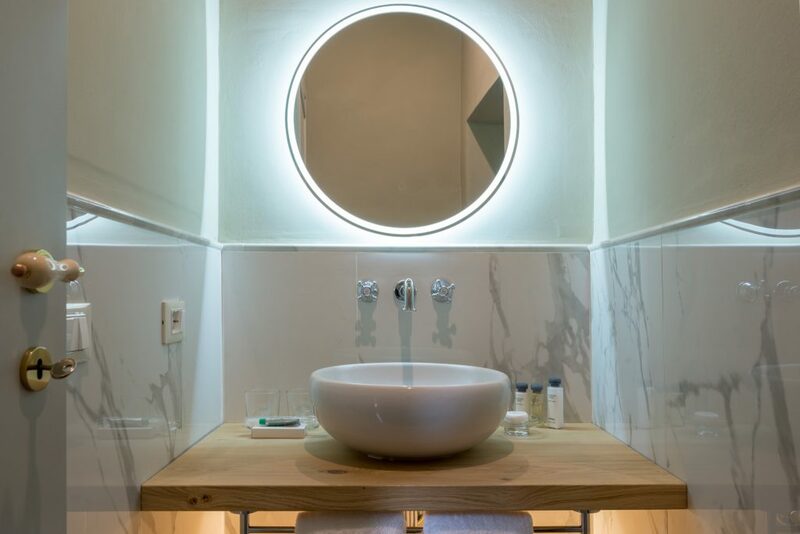 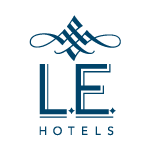 Enjoy the intimacy of the space with family and friends, choosing a classic room or spending a romantic holiday staying in the deluxe rooms that offer more exclusive services. 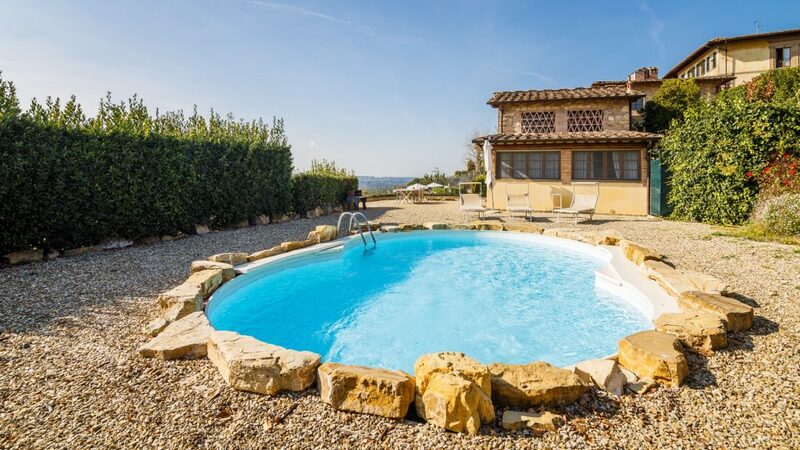 Rest in the pool for a refreshing bath, or enjoy the sunset while sipping an excellent cocktail prepared with fresh fruit. 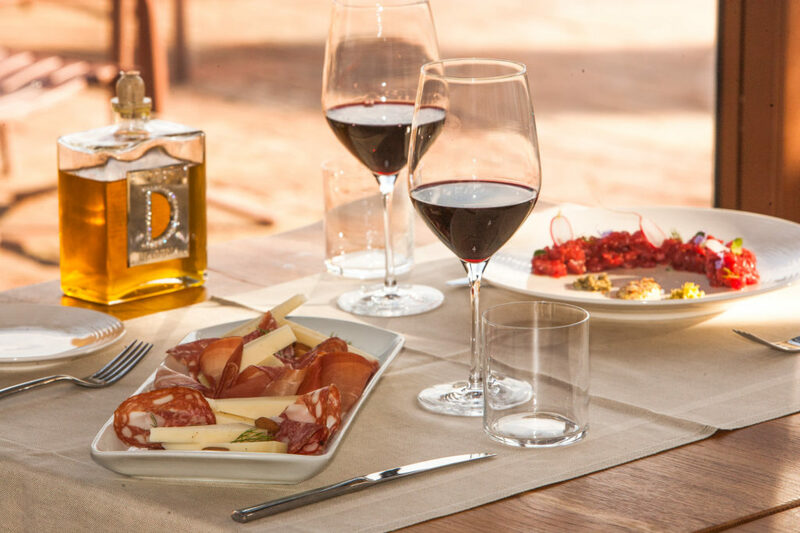 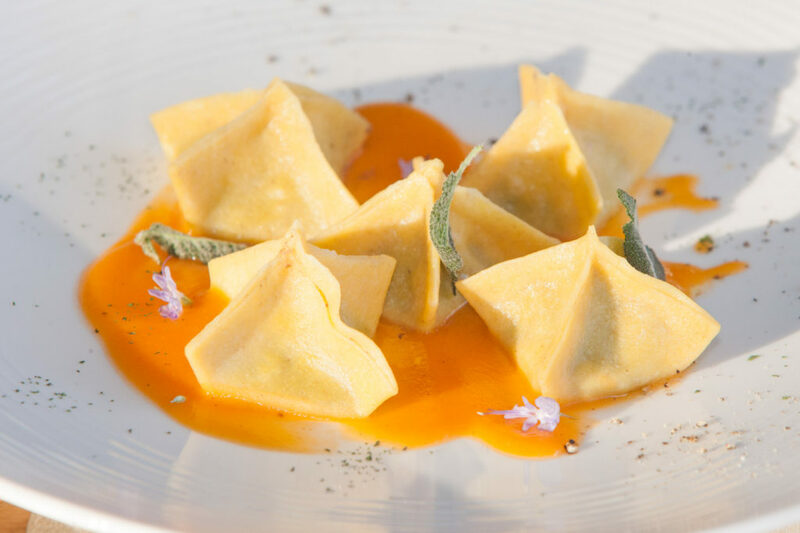 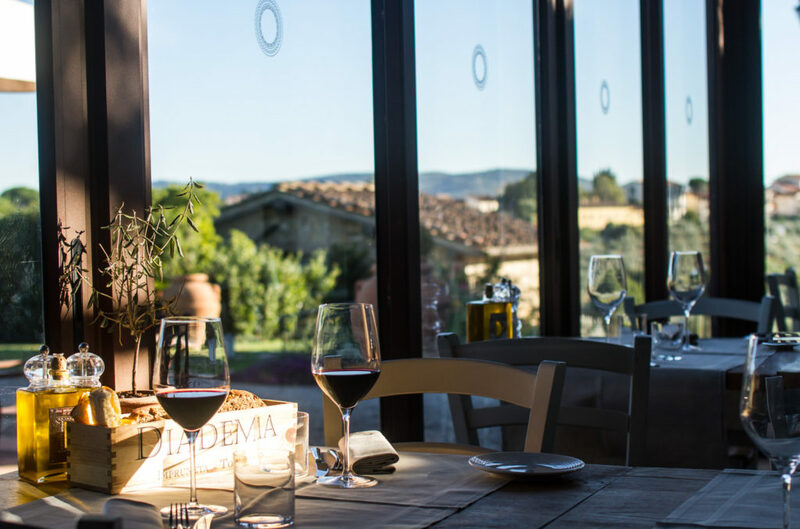 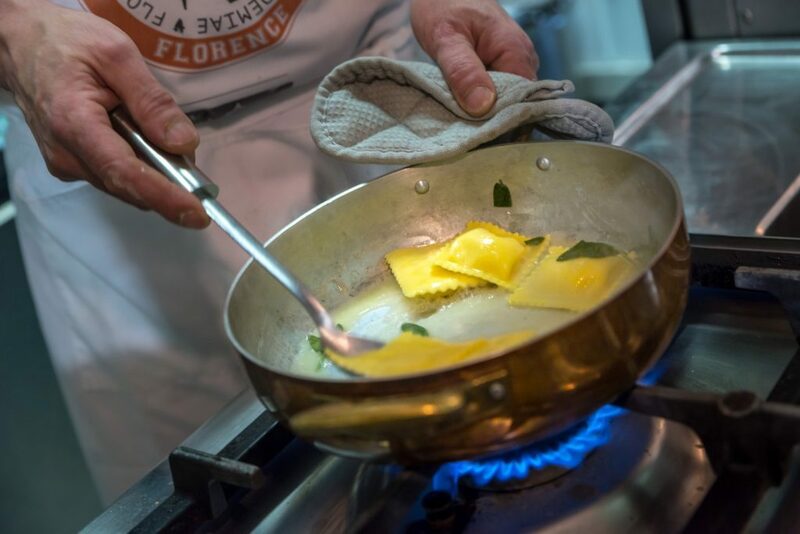 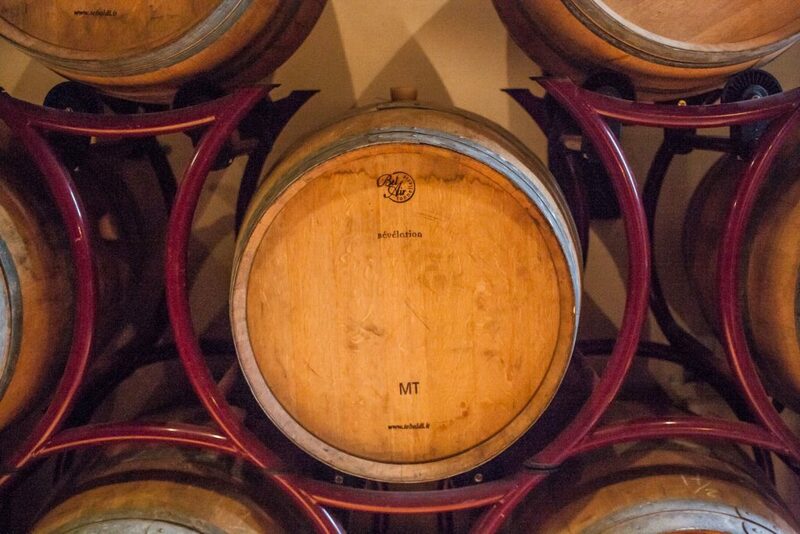 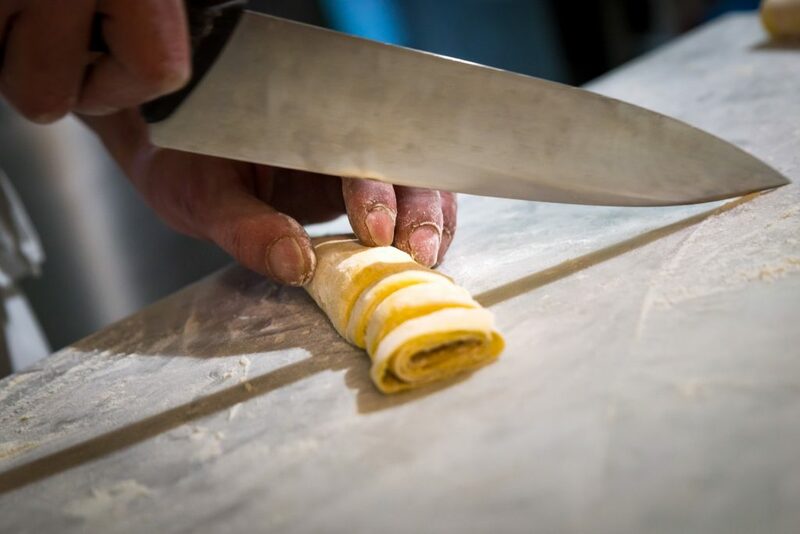 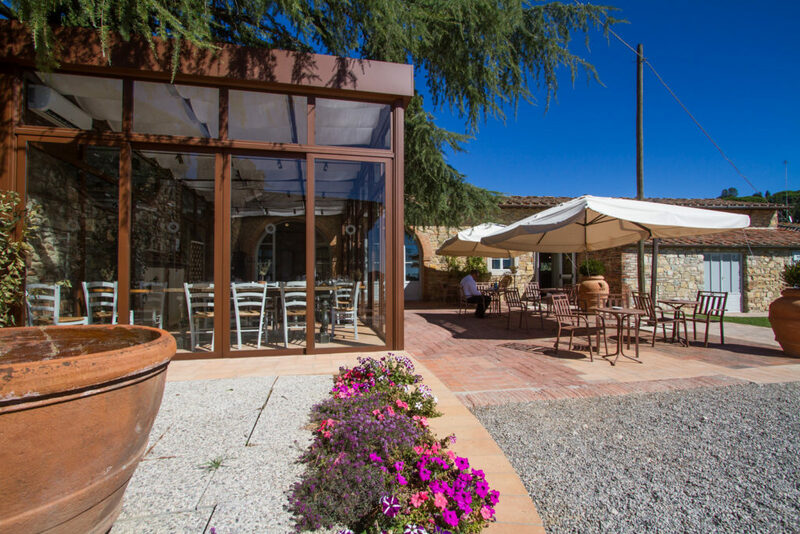 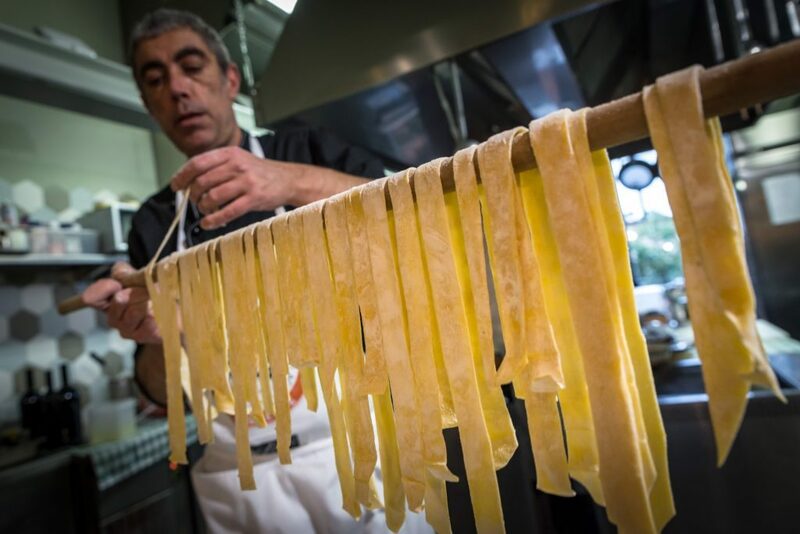 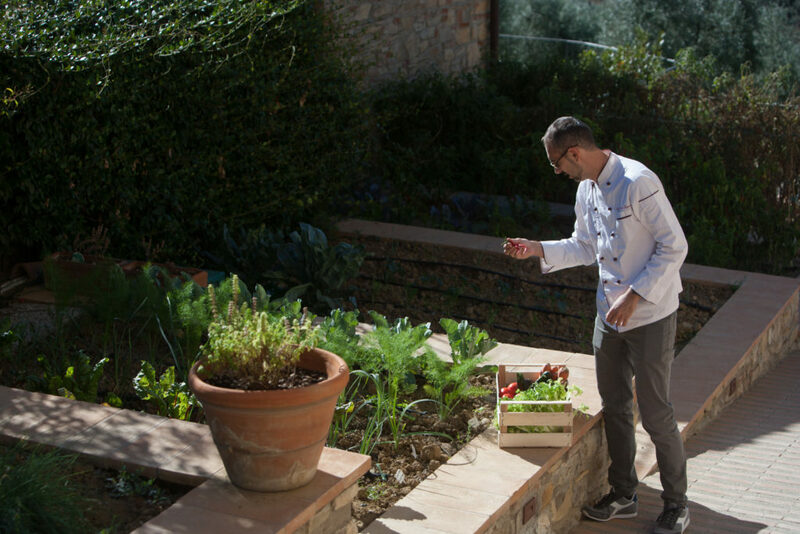 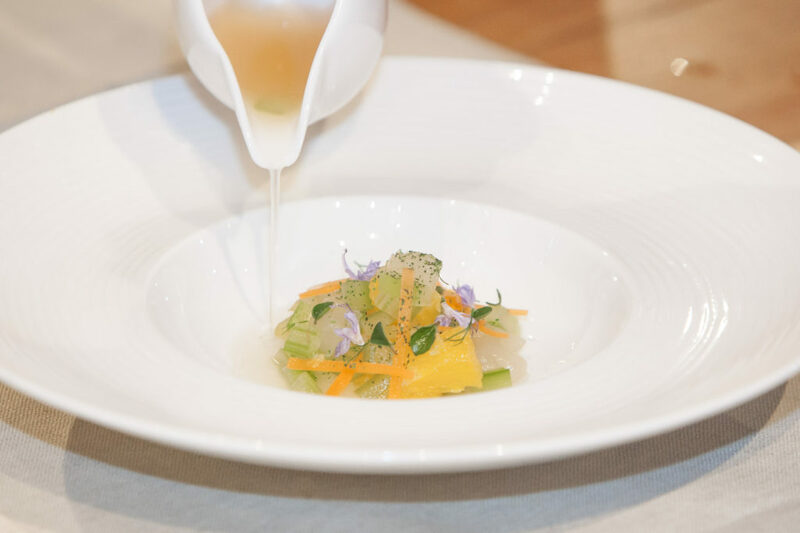 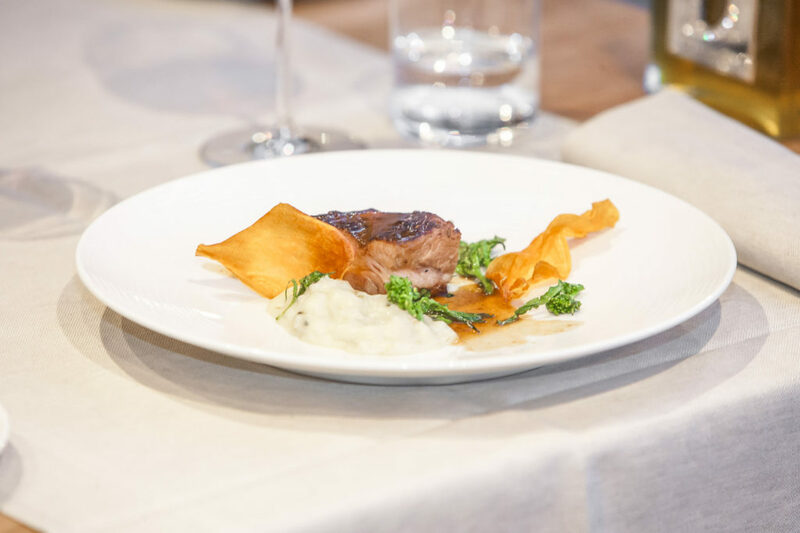 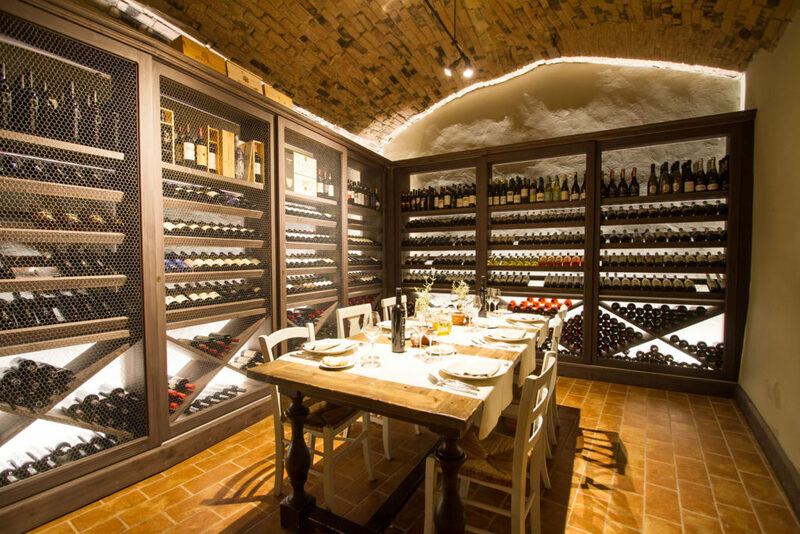 Taste the specialties prepared by the chefs of the Wine Bar & Restaurant; get to know the local agricultural products and discover the authentic excellence of the Tuscan gastronomic tradition, revisited with style and creative inspiration. 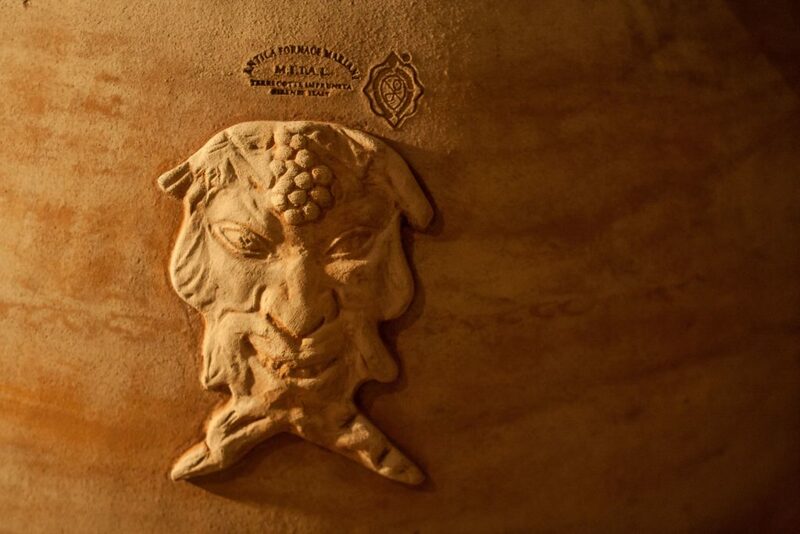 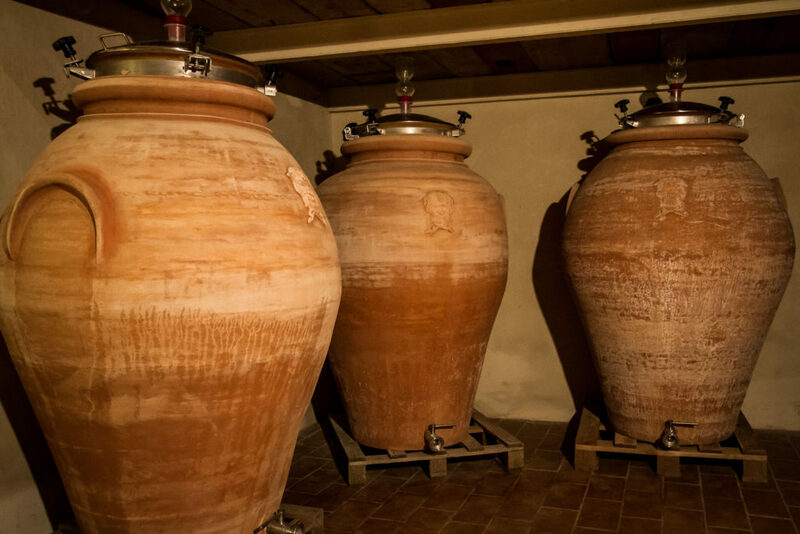 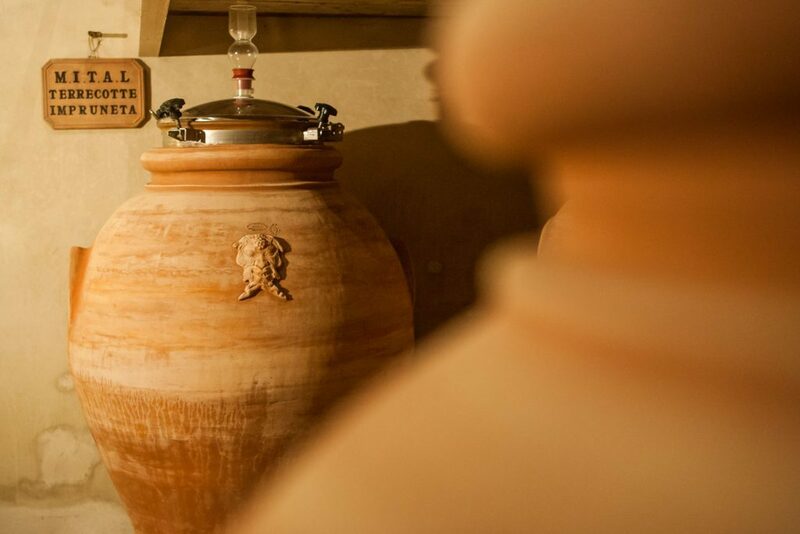 Passionate about the history of Diadema wine with its innovative biodynamic production techniques and the use of terracotta as methods of storage and fermentation, take a walk through the vineyards or a tasting instead.